Last week was one of some extreme ups and downs, crazy deadlines and just general uneasiness. I seemed to let everything slide as I dealt with my own internal sadness. I had multiple blog posts scheduled to go up last week and just wasn’t able to make it happen. This week, my brain has settled down a bit and I decided it was time to bake. 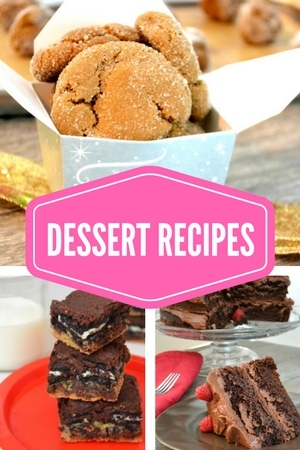 What better way to ease a over-worked mind and a tired body but the most decadent brownies that can be dreamed up**. Loaded brownies hit the internet (with a different name) a few years ago and have since remained in my baking repertoire. I make a big batch and take them to the office, to my friends, to any event that calls for a bit of a treat. 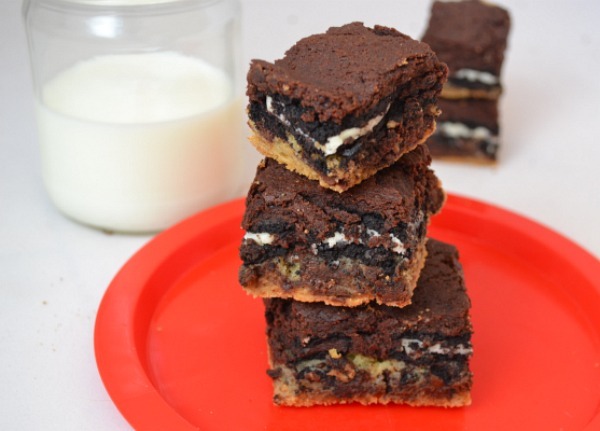 Ooey gooey chocolate brownie, Oreo cookies and everyone’s favorite chocolate chip cookies combine to form a perfectly delectable loaded brownie. I’ve made a peanut butter version too for those of you peanut butter lovers. Let me know if you like them! 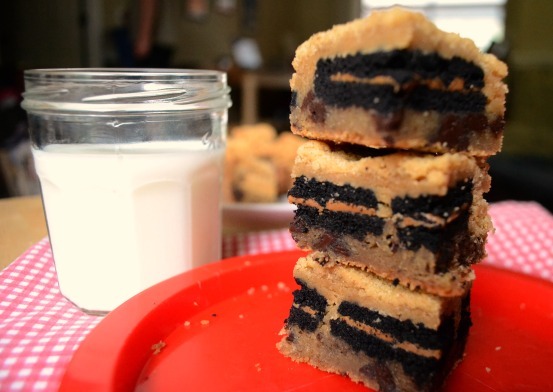 If you make this recipe, I would love to know! Post it on Instagram with #thesurferskitchen. ** I am, in no way, am attempting to forget or ignore the sadness surrounding the recent election with a brownie recipe. But, baking and cooking helps me to feel better, maybe it will help you too.